Fidel Castro, the illegitimate son of a successful Creole sugar plantation owner, was born in Cuba in 1926. He was a rebellious boy and at the age of thirteen helped to organize a strike of sugar workers on his father's plantation. Both his parents were illiterate but they were determined that their children should receive a good education and Fidel was sent to a Jesuit boarding school. Although he disliked the strict discipline of the school, Fidel soon showed that he was extremely intelligent. However, except for history, he preferred sports to academic subjects. Fidel was good at running, soccer and baseball, and in 1944 was awarded the prize as Cuba's best all-round school athlete. After he had finished his education Castro became a lawyer in Havana. As he tended to take the cases of poor people who could not afford to pay him, Castro was constantly short of money. Castro's experience as a lawyer made him extremely critical of the great inequalities in wealth that existed in Cuba. Like many other Cubans, Castro resented the wealth and power of the American businessmen who appeared to control the country. In 1947 Castro joined the Cuban People's Party. He was attracted to this new party's campaign against corruption, injustice, poverty, unemployment and low wages. The Cuban People's Party accused government ministers of taking bribes and running the country for the benefit of the large United States corporations that had factories and offices in Cuba. In 1952 Fidel Castro became a candidate for Congress for the Cuban People's Party. He was a superb public speaker and soon built up a strong following amongst the young members of the party. The Cuban People's Party was expected to win the election but during the campaign. General Fulgencio Batista, with the support of the armed forces, took control of the country. Castro came to the conclusion that revolution was the only way that the Cuban People's Party would gain power. In 1953, Castro, with an armed group of 123 men and women, attacked the Moncada Army Barracks. The plan to overthrow Batista ended in disaster and although only eight were killed in the fighting, another eighty were murdered by the army after they were captured. Castro was lucky that the lieutenant who arrested him ignored orders to have him executed and instead delivered him to the nearest civilian prison. Castro also came close to death in prison. Captain Pelletier was instructed to put poison in Castro's food. The man refused and instead revealed his orders to the Cuban people. Pelletier was court-martialed but, concerned about world opinion, Batista decided not to have Castro killed. Castro was put on trial charged with organising an armed uprising. He used this opportunity to make a speech about the problems of Cuba and how they could be solved. His speech later became a book entitled History Will Absolve Me. Castro was found guilty and sentenced to fifteen years in prison. 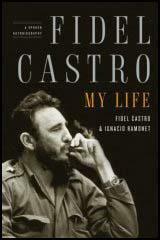 The trial and the publication of the book made Castro famous in Cuba. His attempted revolution had considerable support in the country. After all, the party he represented would probably have won the election in 1952 had it been allowed to take place. Following considerable pressure from the Cuban population, Fulgencio Batista decided to release Castro after he had served only two years of his sentence. Batista also promised elections but when it became clear that they would not take place, Castro left for Mexico where he began to plan another attempt to overthrow the Cuban government. After building up a stock of guns and ammunition, Castro, Che Guevara, Juan Almeida, and eighty other rebels arrived in Cuba in 1956. This group became known as the July 26 Movement (the date that Castro had attacked the Moncada barracks). Their plan was to set up their base in the Sierra Maestra mountains. On the way to the mountains they were attacked by government troops. By the time they reached the Sierra Maestra there were only sixteen men left with twelve weapons between them. For the next few months Castro's guerrilla army raided isolated army garrisons and were gradually able to build-up their stock of weapons. Fulgencio Batista responded to this by sending more troops to the Sierra Maestra. He now had 10,000 men hunting for Castro and his 300-strong army. Although outnumbered, Castro's guerrillas were able to inflict defeat after defeat on the government's troops. In the summer of 1958 over a thousand of Batista's soldiers were killed or wounded and many more were captured. Unlike Batista's soldiers, Castro's troops had developed a reputation for behaving well towards prisoners. This encouraged Batista's troops to surrender to Castro when things went badly in battle. Complete military units began to join the guerrillas. The United States supplied Batista with planes, ships and tanks, but the advantage of using the latest technology such as napalm failed to win them victory against the guerrillas. In March 1958, the United States government, disillusioned with Batista's performance, suggested he held elections. This he did, but the people showed their dissatisfaction with his government by refusing to vote. Over 75 per cent of the voters in the capital Havana boycotted the polls. In some areas, such as Santiago, it was as high as 98 per cent. Castro was now confident he could beat Batista in a head-on battle. Leaving the Sierra Maestra mountains, Castro's troops began to march on the main towns. After consultations with the United States government, Batista decided to flee Cuba. Senior Generals left behind attempted to set up another military government. Castro's reaction was to call for a general strike. The workers came out on strike and the military were forced to accept the people's desire for change. Castro marched into Havana on January 9,1959, and became Cuba's new leader. The new Cuban government also set about the problem of health care. Before the revolution Cuba had 6,000 doctors. Of these, 64 per cent worked in Havana where most of the rich people lived. When Castro ordered that doctors had to be redistributed throughout the country, over half decided to leave Cuba. To replace them Cuba built three new training schools for doctors. The death of young children from disease was a major problem in Cuba. Infant mortality was 60 per 1,000 live births in 1959. To help deal with this Cuba introduced a free health-service and started a massive inoculation program. By 1980 infant mortality had fallen to 15 per 1,000. This figure is now the best in the developing world and is in fact better than many areas of the United States. It has been estimated that in his seven-year reign, Batista's regime had murdered over 20,000 Cubans. Those involved in the murders had not expected to lose power and had kept records, including photographs of the people they had tortured and murdered. Castro established public tribunals to try the people responsible and an estimated 600 people were executed. Although this pleased the relatives of the people murdered by Batista's government, these executions shocked world opinion. Some of Castro's new laws also upset the United States. Much of the land given to the peasants was owned by United States corporations. So also was the telephone company that was nationalized. The United States government responded by telling Castro they would no longer be willing to supply the technology and technicians needed to run Cuba's economy. When this failed to change Castro's policies they reduced their orders for Cuban sugar. Castro refused to be intimidated by the United States and adopted even more aggressive policies towards them. In the summer of 1960 Castro nationalized United States property worth $850 million. He also negotiated a deal where by the Soviet Union and other communist countries in Eastern Europe agreed to purchase the sugar that the United States had refused to take. The Soviet Union also agreed to supply the weapons, technicians and machinery denied to Cuba by the United States. President Dwight Eisenhower was in a difficult situation. The more he attempted to punish Castro the closer he became to the Soviet Union. His main fear was that Cuba could eventually become a Soviet military base. To change course and attempt to win Castro's friendship with favourable trade deals was likely to be interpreted as a humiliating defeat for the United States. Instead Eisenhower announced that he would not buy any more sugar from Cuba. In March I960, Eisenhower approved a CIA plan to overthrow Castro. The plan involved a budget of $13 million to train "a paramilitary force outside Cuba for guerrilla action." The strategy was organised by Richard Bissell and Richard Helms. An estimated 400 CIA officers were employed full-time to carry out what became known as Operation Mongoose. Edward Lansdale became project leader whereas William Harvey became head of what became known as Task Force W. The JM WAVE station served as operational headquarters for Operation Mongoose. These schemes were rejected and instead Bissell decided to arrange the assassination of Castro. In September 1960, Richard Bissell and Allen W. Dulles, the director of the Central Intelligence Agency (CIA), initiated talks with two leading figures of the Mafia, Johnny Roselli and Sam Giancana. Later, other crime bosses such as Carlos Marcello, Santos Trafficante and Meyer Lansky became involved in this plot against Castro. In 1961 Eisenhower retired and the problem of dealing with Castro was passed on to the new president, John F. Kennedy. The new president continued with Eisenhower's policy of trying to assassinate Castro. This became known as Operation Freedom and was placed under the control of Robert Kennedy. In the three years that followed the revolution, 250,000 Cubans out of a population of six million left the country. Most of these were from the upper and middle-classes who were financially worse off as a result of Castro's policies. Of those who stayed, 90 per cent of the population, according to public opinion polls, supported Castro. However, Castro did not keep his promise of holding free elections. Castro claimed the national unity that had been created would be destroyed by the competing political parties in an election. Castro was also becoming less tolerant towards people who disagreed with him. Ministers who questioned the wisdom of his policies were sacked and replaced by people who had proved their loyalty to him. These people were often young, inexperienced politicians who had fought with him in the Sierra Maestra. Politicians who publicly disagreed with him faced the possibility of being arrested. Writers who expressed dissenting views and people he considered deviants such as homosexuals were also imprisoned. At the beginning of September 1962, U-2 spy planes discovered that the Soviet Union was building surface-to-air missile (SAM) launch sites. There was also an increase in the number of Soviet ships arriving in Cuba which the United States government feared were carrying new supplies of weapons. President John Kennedy complained to the Soviet Union about these developments and warned them that the United States would not accept offensive weapons (SAMs were considered to be defensive) in Cuba. In his first two years of office a combination of Republicans and conservative southern Democrats in Congress had blocked much of Kennedy's proposed legislation. The polls suggested that after the elections he would have even less support in Congress. Kennedy feared that any trouble over Cuba would lose the Democratic Party even more votes, as it would remind voters of the Bay of Pigs disaster where the CIA had tried to oust Castro from power. One poll showed that over 62 per cent of the population were unhappy with his policies on Cuba. Understandably, the Republicans attempted to make Cuba the main issue in the campaign. This was probably in Kennedy's mind when he decided to restrict the flights of the U-2 planes over Cuba . Pilots were also told to avoid flying the whole length of the island. Kennedy hoped this would ensure that a U-2 plane would not be shot down, and would prevent Cuba becoming a major issue during the election campaign. Kennedy accepted their decision and instructed Theodore Sorensen, a member of the committee, to write a speech in which Kennedy would explain to the world why it was necessary to impose a naval blockade of Cuba. On October 24, President John F. Kennedy was informed that Soviet ships had stopped just before they reached the United States ships blockading Cuba. That evening Nikita Khrushchev sent an angry note to Kennedy accusing him of creating a crisis to help the Democratic Party win the forthcoming election. Castro remained dependent on the support of the Soviet Union. Nikita Khrushchev was ousted from power on 15th October, 1964, but his successors, including Leonid Brezhnev, Yuri Andropov, Konstantin Chernenko and Mikhail Gorbachev provided aid to his government. However, after the fall of communism in the Soviet Union in 1989 this economic help came to an end. In 1991 Cuba suffered an economic crisis. Its outdated and unrepaired equipment meant that sugar and tobacco production fell. At the same time Cuba could no longer rely on former countries in Eastern Europe to buy its goods. Castro suffered great embarrassment when his own daughter sough asylum in the United States in 1994. In 2005, the CIA reported that Fidel Castro was suffering from Parkinson's disease. Other rumours suggested that he had terminal cancer. The following year he underwent intestinal surgery and on 31st July, 2006, he transferred his political responsibilities to his younger brother Raúl Castro. On 19th February, 2008, Fidel Castro announced he would neither seek nor accept a new term as either president or commander-in-chief of Cuba. The tasks of government, he said, “required mobility and the total commitment that I am no longer in a physical condition to offer”. Fidel Castro died aged 90 on 25th November, 2016. (A1) Fidel Castro was at Belen College between 1942-45. When he left they wrote a report on him. Fidel distinguished himself in all subjects... He was also an outstanding athlete, always courageously and proudly defending the school's colours. He has won the admiration and affection of all. We are sure that, after his law studies, he will make a brilliant name for himself. Fidel has what it takes and will make something of his life. (A2) Teresa Casuso was a Cuban actress who met Castro in Mexico in 1956. She later allowed her house to be used as a hiding place for-the weapons that Castro was buying. He looked eminently serene, and inspired confidence and a sense of security. His voice was quiet, his expression grave, his manner calm, gentle... He struck me as being a man who would never underestimate the value of anyone; everybody was important to him. (A3) Melba Hernandez, a lawyer, met Fidel Castro for the first time in 1952. Later she participated in the attack on Moncada. From the moment you shake hands with Fidel, you are impressed. His personality is so powerful. When I gave my hand to this young man I felt very secure. I felt I had found the way. When this young man began to talk, all I could do was listen. (A4) In 1953, Fidel Castro complained about Cuba's economic relationship with the United States. (A5) Orlando de Cardenas helped Fidel Castro buy weapons in Mexico. Fidel rarely tolerates any kind of dissent from his own views... Fidel's compulsive urge for personal control of whatever undertaking struck his fancy was not motivated by a mere lust for power but by the conviction that he was especially endowed with the wisdom for fulfilling the mission. (A6) As a representative of the United States government, Peter Bourne met Fidel Castro in 1979. Very few who meet him are not seduced by his personal charm, even those who violently disagree with him on ideological grounds. He has a special quality shared by few politicians, of giving his undivided attention to anyone speaking to him, no matter how lowly he is or how insignificant his comments. He also has the capacity to pick the brains of his visitors in a way that is flattering to them and at the same time of immense value to him. (A7) After Nikita Khrushchev of the Soviet Union met Fidel Castro in New York in 1960 he told a colleague what he thought of him. (A8) In his book The Perfect Failure, Trumbull Higgins argues that John F. Kennedy had a strong dislike of Fidel Castro and had been discussing his removal even before he became president. (A9) After the bombing raid on 14th April 1961, Fidel Castro made a speech to the Cuban people. (A10) On February 4,1962 Fidel Castro made a speech in Havana where he considered the motivations behind the Bay of Pigs invasion. (A11) After the Bay of Pigs, Philip Bonsol, the United States Ambassador in Cuba, wrote about the consequences of the failed attempt to overthrow Fidel Castro. (A12) Andrei Gromyko, the Soviet Union's foreign secretary, book Through Russian Eyes: President Kennedy's 1036 Days was published in 1973. In the book Gromyko wrote about the background to the Cuban Missile Crisis. The United States over several years had established offensive military bases around the socialist countries and, primarily, near the USSR borders... the placement of medium-range effective Soviet missiles in Cuba was undertaken only after the United States ruling circles continually rejected proposals to remove American military bases, including missile sites, on foreign territory. (A13) In 1984 Fidel Castro was interviewed by the American journalist, Tad Szulc. The journalist asked Castro why he was willing to allow Soviet missiles to be placed in Cuba. It was necessary to make it clear to the United States that an invasion of Cuba would imply a war with the Soviet Union. It was then that they proposed the missiles... We preferred the risks, whatever they were, of a great tension, a great crisis, to the risks of the impotence of having to await a United States invasion of Cuba. 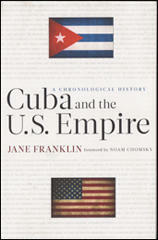 (A14) James Daniel and John Hubbell are two historians who wrote a book about the Cuban Missile Crisis. In their book, Strike in the West, they comment on why they believed the missiles were placed in Cuba. The United States anticipated that by the mid-sixties they would have in the neighbourhood of 1,500 ballistic missiles... The total number of Soviet missiles which could reach targets in the United States was about 125... But by moving medium and intermediate-range missiles to Cuba, deep in the Western Hemisphere, Russia was rapidly narrowing the gap... The presence of Russian missiles in Cuba had drastically altered the balance of world power. (A15) Mario Lazo, a Cuban lawyer was a supporter of the Batista regime that was overthrown by Castro. After the Cuban revolution he fled to the United States. In 1968 he wrote a book called Dagger in the Heart: American Failures in Cuba. The accounts of the crisis did not make clear that it was a power confrontation, that the power of the USA was incomparably superior to that of the USSR, and that the leaders of both nations knew this to be a fact. The United States, it is worth repeating, could have erased every important Soviet military installation and population centre in two or three hours while the strike capability of the USSR was negligible. Although Kennedy held the trump cards, he granted the Communist Empire a privileged sanctuary in the Caribbean by means of the "no invasion" pledge. (A16) I. F. Stone, a journalist, wrote an article on John F. Kennedy after he was assassinated in 1963. What if the Russians had refused to back down and remove their missiles from Cuba? What if they had called our bluff and war had begun, and escalated? How would the historians of mankind, if a fragment survived, have regarded the events of October?... Since this is the kind of bluff that can easily be played once too often, and that his successors may feel urged to imitate, it would be well to think it over carefully before canonizing Kennedy as an apostle of peace. These are hard times we are living in. In recent months, we have more than once heard chilling words and statements. In his speech to West Point graduating cadets on June 1 2002, the United States president declared: "Our security will require transforming the military you will lead, a military that must be ready to strike at a moment's notice in any dark corner of the world." That same day, he proclaimed the doctrine of the pre-emptive strike, something no one had ever done in the political history of the world. A few months later, referring to the unnecessary and almost certain military action against Iraq, he said: "And if war is forced upon us, we will fight with the full force and might of the United States army." The world is being driven into a dead end. Within hardly 150 years, the oil and gas it took the planet 300 million years to accumulate will have been depleted. In just 100 years, the world population has grown from 1.5 billion to over 6 billion people, who will have to depend on energy sources that are still to be researched and developed. Poverty continues to grow while old and new diseases threaten whole nations with annihilation. The world's soil is being eroded and losing its fertility; the climate is changing; the air that we breathe, drinking water and the seas are increasingly contaminated. A similar amount is spent on commercial advertising, sowing consumerist longings that cannot be satisfied in the minds of billions of people. Why and for what? For the first time the human species is running a real risk of extinction due to the insane behaviour of the very same human beings, who are thus becoming the victims of this "civilisation". However, no one will fight for us, that is, for the overwhelming majority, only we will do it. Only we can save humanity ourselves with the support of millions of manual and intellectual workers from the developed nations who are conscious of the catastrophes befalling their peoples. Only we can do it by sowing ideas, building awareness and mobilising global and North American public opinion. No one needs to be told this. You know it very well. Our most sacred duty is to fight, and fight we will. Cuban President Fidel Castro has said recent CIA admissions of illicit Cold War activities disguise the fact the US is using such "brutal" tactics today. Last week the CIA published documents called the "Family Jewels", revealing spy plots and assassination attempts. The documents included plans to use Mafia help to kill Fidel Castro. Mr Castro, still recovering after surgery last year, said in the official media the US was trying to pretend the tactics belonged to another era. "Everything described in the documents is still being done, only in a more brutal manner around the entire planet, including an increasing number of illegal actions in the very United States," President Castro wrote. In an editorial called the Killing Machine, he wrote: "Sunday is a good day to read what appears to be science fiction." One of the key revelations of the documents was that the CIA tried to persuade mobster Johnny Roselli in 1960 to plot the assassination of the Cuban leader. The plan was for poisoned pills to be put in Mr Castro's food, but it was shelved after the US-sponsored invasion of the Bay of Pigs failed a year later. Mr Castro has long accused the US, including President George W Bush, of plotting to kill him. In his editorial, Mr Castro also refers to the assassination of John F Kennedy, saying the US president was the victim of the CIA and anti-Castro Cuban exiles. Mr Castro says Lee Harvey Oswald could not have acted alone in killing the president. "You lose the target after every shot even if it is not moving and have to find it again in fractions of a second," Mr Castro, himself an expert marksman, says. The first package of declassified documents goes by the name of "The Family Jewels"; it consists of 702 pages on illegal CIA actions between 1959 and 1973. About 100 pages of this part have been deleted. It deals with actions that were not authorized by any law, plots to assassinate other leaders, experiments with drugs on human beings to control their minds, spying on civil activists and journalists, among other similar activities that were expressly prohibited. The documents began to be gathered together 14 years after the first of the events took place, when then CIA director, James Schlesinger became alarmed about what the press was writing, especially all the articles by Robert Woodward and Carl Bernstein published in The Washington Post, already mentioned in the "Manifesto to the People of Cuba". The agency was being accused of promoting spying in the Watergate Hotel with the participation of its former agents Howard Hunt and James McCord. In May 1973, the Director of the CIA was demanding that "all the main operative officials of this agency must immediately inform me on any ongoing or past activity that might be outside of the constituting charter of this agency". Schlesinger, later appointed Head of the Pentagon, had been replaced by William Colby. Colby was referring to the documents as "skeletons hiding in a closet". New press revelations forced Colby to admit the existence of the reports to interim President Gerald Ford in 1975. The New York Times was denouncing agency penetration of antiwar groups. The law that created the CIA prevented it from spying inside the United States. That "was just the tip of the iceberg", said then Secretary of State Henry Kissinger. Kissinger himself warned that "blood would flow" if other actions were known, and he immediately added: "For example, that Robert Kennedy personally controlled the operation for the assassination of Fidel Castro". The President's brother was then Attorney General of the United States. He was later murdered as he was running for President in the 1968 elections, which facilitated Nixon's election for lack of a strong candidate. The most dramatic thing about the case is that apparently he had reached the conviction that Jack Kennedy had been victim of a conspiracy. Thorough investigators, after analyzing the wounds, the caliber of the shots and other circumstances surrounding the death of the President, reached the conclusion that there had been at least three shooters. Solitary Oswald, used as an instrument, could not have been the only shooter. I found that rather striking. Excuse me for saying this but fate turned me into a shooting instructor with a telescopic sight for all the Granma expeditionaries. I spent months practicing and teaching, every day; even though the target is a stationary one it disappears from view with each shot and so you need to look for it all over again in fractions of a second. Oswald wanted to come through Cuba on his trip to the USSR. He had already been there before. Someone sent him to ask for a visa in our country's embassy in Mexico but nobody knew him there so he wasn't authorized. They wanted to get us implicated in the conspiracy. Later, Jack Ruby, – a man openly linked to the Mafia – unable to deal with so much pain and sadness, as he said, assassinated him, of all places, in a precinct full of police agents. Subsequently, in international functions or on visits to Cuba, on more than one occasion I met with the aggrieved Kennedy relatives, who would greet me respectfully. The former president's son, who was a very small child when his father was killed, visited Cuba 34 years later. We met and I invited him to dinner. The young man, in the prime of his life, and well brought up, tragically died in an airplane accident on a stormy night as he was flying to Martha's Vineyard with his wife. I never touched on the thorny issue with any of those relatives. In contrast, I pointed out that if the president-elect had then been Nixon instead of Kennedy, after the Bay of Pigs disaster we would have been attacked by the land and sea forces escorting the mercenary expedition, and both countries would have paid a high toll in human lives. Nixon would not have limited himself to saying that victory has many fathers and defeat is an orphan. For the record, Kennedy was never too enthusiastic about the Bay of Pigs adventure; he was led there by Eisenhower's military reputation and the recklessness of his ambitious vice-president. I remember that, exactly on the day and minute he was assassinated, I was speaking in a peaceful spot outside of the capital with French journalist Jean Daniel. He told me that he was bringing a message from President Kennedy. He said to me that in essence he had told him: "You are going to see Castro. I would like to know what he thinks about the terrible danger we just experienced of a thermonuclear war. I want to see you again as soon as you get back." "Kennedy was very active; he seemed to be a political machine", he added, and we were not able to continue talking as someone rushed in with the news of what had just happened. We turned on the radio. What Kennedy thought was now pointless. Kennedy had emerged from the crisis with greater authority. He came to recognize the enormous sacrifices of human lives and material wealth made by the Soviet people in the struggle against fascism. The worst of the relations between the United States and Cuba had not yet occurred by April 1961. When he hadn't resigned himself to the outcome of the Bay of Pigs, along came the Missile Crisis. The blockade, economic asphyxiation, pirate attacks and assassination plots multiplied. But the assassination plots and other bloody occurrences began under the administration of Eisenhower and Nixon. President Ford decided to appoint a Commission to investigate the Central Intelligence Agency. "We do not want to destroy the CIA but to preserve it", he said. As a result of the Commission's investigations that were led by Senator Frank Church, President Ford signed an executive order which expressly prohibited the participation of American officials in the assassinations of foreign leaders. Details are also revealed about Operation Chaos, carrying on from 1969 for at least seven years, for which the CIA created a special squadron with the mission to infiltrate pacifist groups and to investigate "the international activities of radicals and black militants". The Agency compiled more than 300,000 names of American citizens and organizations and extensive files on 7,200 persons. In a memorandum sent to Colby in 1973, Walter Elder who had been executive assistant to John McCone, CIA Director in the early 1970s, gives information about discussions in the CIA headquarters that were taped and transcribed: "I know that whoever worked in the offices of the director were worried about the fact that these conversations in the office and on the phone were transcribed. During the McCone years there were microphones in his regular offices, the inner office, the dining room, the office in the East building, and in the study of his home on White Haven Street. I don't know if anyone is ready to talk about this, but the information tends to be leaked, and certainly the Agency is vulnerable in this case". The secret transcripts of the CIA directors could contain a great number of "jewels". The National Security Archive is already requesting these transcripts. A memo clarifies that the CIA had a project called OFTEN which would collect "information about dangerous drugs in American companies", until the program was terminated in the fall of 1972. In another memo there are reports that manufacturers of commercial drugs "had passed" drugs to the CIA which had been "refused due to adverse secondary effects". CIA employees assigned to MHCHAOS – the operation that carried out surveillance on American opposition to the war in Vietnam and other political dissidents – expressed "a high level of resentment" for having been ordered to carry out such missions. Howard Osborn, then CIA Director of Security, makes a summary of the "jewels" compiled by his office. He lists eight cases – including the recruiting of the gangster Johnny Roselli for the coup against Fidel Castro – but they crossed out the document that is in the number 1 place on Osborn’s initial list: two and a half pages. "The No. 1 Jewel of the CIA Security Offices must be very good, especially since the second one is the list for the program concerning the assassination of Castro by Roselli," said Thomas Blanton, director of the National Security Archive who requested the declassification of "The Family Jewels" 15 years ago under the Freedom of Information Act. I believe that such an action could be an attempt to present an image of transparency when the government is at an all time low rate of acceptance and popularity, and to show that those methods belong to another era and are no longer in use. When he announced the decision, General Hayden, current CIA Director, said: "The documents offer a look at very different times and at a very different Agency." The declassification could also be an attempt at showing, in the early stages of the electoral process that the Democratic administrations were as bad, or worse, than Mr. Bush's. "In August 1960, Mr. Richard M. Bissell approached Colonel Sheffield Edwards with the objective of determining whether the Security Office had agents who could help in a confidential mission that required gangster-style action. The target of the mission was Fidel Castro. "Given the extreme confidentiality of the mission, the project was known only to a small group of people. The Director of the Central Intelligence Agency was informed and he gave it his approval. Colonel J. C. King, Head of the Western Hemisphere Division, was also informed, but all the details were deliberately concealed from officials of Operation JMWAVE. Even though some officials of Communications (Commo) and the Technical Services Division (TSD) took part in initial planning phases, they were not aware of the mission's purpose. "Robert A. Maheu was contacted, he was informed in general terms about the project, and he was asked to evaluate whether he could get access to gangster-type elements as a first step for achieving the desired goal. "Mr. Maheu informed that he had met with a certain Johnny Roselli on several occasions while he was visiting Las Vegas. He had only met him informally through clients, but he had been told that he was a member of the upper echelons of the 'syndicate' and that he was controlling all the ice machines on the Strip. In Maheu's opinion, if Roselli was in effect a member of the Clan, he undoubtedly had connections that would lead to the gambling racket in Cuba. "Maheu was asked to get close to Roselli, who knew that Maheu was a public relations executive looking after national and foreign accounts, and tell him that recently he had been contracted by a client who represented several international business companies, which were suffering enormous financial losses in Cuba due to Castro. They were convinced that the elimination of Castro would be a solution to their problem and they were ready to pay $ 150,000 for a successful outcome. Roselli had to be made perfectly aware of the fact that the U.S. government knew nothing, nor could it know anything, about this operation. "This was presented to Roselli on September 14, 1960 in the Hilton Plaza Hotel of New York City. His initial reaction was to avoid getting involved but after Maheu's persuasive efforts he agreed to present the idea to a friend, Sam Gold, who knew "some Cubans". Roselli made it clear that he didn't want any money for his part in all this, and he believed that Sam would do likewise. Neither of these people was ever paid with Agency money. "During the week of September 25, Maheu was introduced to Sam who was living at the Fontainebleau Hotel in Miami Beach. It was not until several weeks after meeting Sam and Joe – who was introduced as courier operating between Havana and Miami – that he saw photos of these two individuals in the Sunday section of Parade. They were identified as Momo Salvatore Giancana and Santos Trafficante, respectively. Both were on the Attorney General's list of the ten most wanted. The former was described as the boss of the Cosa Nostra in Chicago and Al Capone's heir, and the latter was the boss of Cuban operations of the Cosa Nostra. Maheu immediately called this office upon learning this information. "After analyzing the possible methods to carry out this mission, Sam suggested that they not resort to firearms but that, if they could get hold of some kind of deadly pill, something to be put into Castro's food or drink, this would be a much more effective operation. Sam indicated that he had a possible candidate in the person of Juan Orta, a Cuban official who had been receiving bribery payments in the gambling racket, and who still had access to Castro and was in a financial bind. "The TSD (Technical Services Division) was requested to produce 6 highly lethal pills. "Joe delivered the pills to Orta. After several weeks of attempts, Orta appears to have chickened out and he asked to be taken off the mission. He suggested another candidate who made several unsuccessful." I remember that during the early years of the Revolution, in the offices of the National Institute for Agrarian Reform, there was a man working there with me whose name was Orta, who had been linked to the anti-Batista political forces. He was a respectful and serious man. But, it could only be him. The decades have gone by and I see his name once more in the CIA report. I can't lay my hands on information to immediately prove what happened to him. Accept my apologies if I involuntarily have offended a relative or a descendent, whether the person I have mentioned is guilty or not. "You cannot fool all of the people all of the time", said Lincoln. It would be a betrayal of my conscience to accept a responsibility requiring more mobility and dedication than I am physically able to offer," Fidel Castro announced yesterday. His statement, ending his 49-year rule, was by turns bullish and nostalgic; it was unexpected too, tripping up enemies who had assumed he would cling on until death. It also closed an extraordinary half-century in which Cuba gained greater fame than its size would otherwise have commanded, thanks to a leader who painted his revolution in vivid colours and who survived the varied animosity of 10 US presidents. President Castro's resilience in itself secures him a place in history. But it cannot disguise the fact that his Cuba was undemocratic, sometimes cruel and by its own terms a failure on most measures other than longevity. He did not create an equal or prosperous society, though America's thuggish treatment is one reason why. "Today, the entire country is an immense university," Mr Castro claimed yesterday, but it is an odd sort of university that restricts free speech and the media, and which - as Amnesty International pointed out - holds prisoners of conscience. Yet more than almost any other communist state, Cuba's revolution nonetheless retained an element of promise. Progress in healthcare and education was real. In the short term Mr Castro's attempt to sustain communist rule will probably succeed. In some ways yesterday's statement simply confirms a transition that took place two years ago, when Mr Castro fell ill. The country is already run by others, led by Raúl Castro, who at 75 will succeed his brother at the head of a dynastic communist regime. He is talked of as an enthusiast for change, and may recognise that it is necessary, but his age and long service at the head of the army make him part of his country's past. The hope is that he will allow others to develop Cuba in ways which take it to democracy without collapsing into the arms of American businessmen and Miami exiles. This unhappy outcome would be made more likely by attempts to sustain Castroism without Mr Castro, a defiance that will surely fall apart, since Cuba's people will not endure it indefinitely. The model ought to be eastern Europe after the fall of the Berlin wall, but that will take outside help, of the kind provided here by the European Union. Logically this should come from America, but there are dangers. Exiles in Florida may be ageing, but there are politicians in Washington who will want to crush all signs of Mr Castro's legacy. This is a moment for generosity. America should start by lifting its boycott, which was intended to destroy Mr Castro, but which instead sustained him and harms the lives of Cubans now he has gone. Fidel seized power in January 1959; he went on to become the longest-serving political leader in the world, outlasting not only nine American presidents but his main ideological and financial sponsor, the Soviet Union, as well. Communism collapsed, but Fidel didn't. Over the decades, Fidel has left his mark far beyond the shores of Cuba. From his early rupture with the United States, his embrace of socialism and his alliance with the Soviet Union - which led to the Bay of Pigs invasion and then to the Cuban missile crisis - to his long-term sponsorship of Marxist revolution in Latin America and Africa, Fidel's challenge to US hegemony abroad ultimately redefined the cold war. Fidel's international political relevance may have dwindled since the days of superpower confrontation, but his very survival made him one of the world's elder statesmen, and also one of its most widely admired. The US trade embargo on Cuba - a bully-boy legacy of the cold war that is now 46 years old to the month and counting - has only added to Fidel's cheering section, as well as inspiring others to follow his "Mouse That Roared" example. Most prominent among them is Venezuela's president, Hugo Chavez, who has made it abundantly clear that he intends to emulate Fidel by vigorously defying US policies, in Venezuela and around the world. At home in Cuba, meanwhile, Fidel's revolution has been a political, social and economic experiment that has arguably succeeded in some ways and failed disastrously in many others, guaranteeing that his domestic legacy will be both contentious and, perhaps, as long- lasting as his rule. There are many Cubans who are genuinely devoted to Fidel and who dread the uncertainties his eventual death will bring. His younger brother, Raul, has quietly assumed his anointed role as Fidel's successor. This has already provided a sort of continuity, but Raul's age of 76 means that he will be only a transitional figure, and so Cuba's future remains an open question. There are also many other Cubans who have dreamed for years of Fidel's demise, convinced that fate has dealt them a heavy hand by turning over their lives to this particularly obstinate, egocentric and durable man. Under Fidel, their lives have been spent in a kind of suffocating reality warp, a uniquely Cuban realm in which time simultaneously stands still and progresses, see-sawing among dramatic episodes linked inextricably to Fidel's whim and will. Because Fidel has always seen himself, his countrymen and Cuba itself as engaged in a heroic struggle - for socialism, against imperialism, in defence of national sovereignty and so on - it has been, somehow, so. Because of his constant exaltation of the Cuban humdrum as vital to the ongoing struggle for the survival of the revolution, there is a collective sense of significance to everyday life in Cuba. In 2005, for instance, after Fidel launched a national energy-saving campaign, his government imported a huge quantity of Chinese pressure cookers and began to distribute them to Cubans at subsidised prices. Thereafter, Fidel gave speech after televised speech explaining Cuba's energy woes and arguing that the cookers' fuel efficiency made their purchase a virtual patriotic duty. It is hard to imagine anyone but Fidel being able to turn a kitchen appliance into an item of urgent national priority, but he managed it. With similar degrees of passion dedicated by Fidel to everything from mosquito-eradication drives - "the battle against dengue" - to the battle to "preserve the conquests of socialism", daily existence came to feel at once portentous and, often, very desolate for Cubans, because skirmishes in the great revolution are endless and the perfect future never seems to arrive. As Fidel has withdrawn, not only his loyalists miss him but, I suspect, his opponents too. With the eclipse of his era, so too passes the shared epic quality of their own lives, however much they have suffered. The next blow will be his death, and inevitably, the downsizing of history in Cuba and, perhaps, of Cuba itself. If for the last 49 years Fidel was Cuba, what will Cuba be without him? Every Cuban understands that Fidel's resignation, even his death, will not necessarily end their nation's long stand-off with the United States and that, in one way or another, Cuba's future will be, as it has always been, shaped directly or indirectly by decisions made in Washington. A couple of years ago, Caleb McCarry, the Bush administration's appointee to the post of "Cuba transition coordinator," told me that even if Raul Castro took steps to open up Cuba's economy, such as China has done, it wouldn't alter US policy toward Cuba. "Economic freedoms are important," said McCarry, "but there has to be political freedom too - multiparty democracy. Ultimately, that is what will help Cubans face the legacy of the dictatorship they've lived under and to define a future where reconciliation and freedom is possible. In other words, the solution is a genuine transition which returns sovereignty to the Cuban people, to allow them to decide who their leaders will be." In the absence of that, the administration would "continue to offer a real transition in Cuba, and we will remain firm with the regime". Such open talk in Washington about promoting "regime change" strikes most of the Cubans I know, including Fidel's detractors, as gallingly interventionist. But this is nothing new; such talk is, in fact, as old as Cuba's nationhood, which was itself brought about by US intervention during the Spanish-American War. With Cuban independence came a mostly unbroken succession of pro-American regimes, some of them cravenly so.